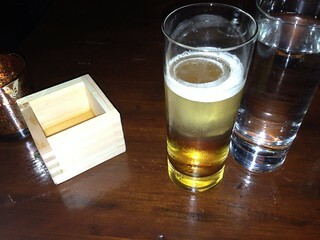 The sake bomb is composed of a sake served in an ice glass, so that when you drop it into the beer it will keep it nice and cold. 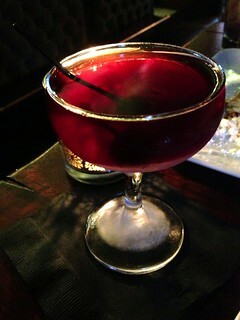 Cherry Bomb by Brady Weise: Anthem cherry cider, rum, and acid phosphate as a base, topped with a cacao nib-infused Becherovka. 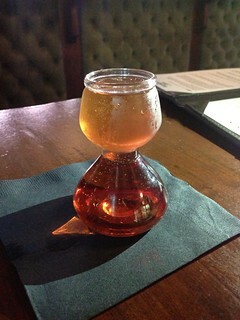 The Cherry Bomb is served in a unique serving ware that separates the two components of the shot. From the stirred cocktail section, be sure to try the Red Belly Black by Peter Lloyd-Jones, named after a snake native to his home country of Australia. It's an Old Fashioned with mezcal, tequila, grapefruit bitters, grapefruit infused syrup, and garnished with a grapefruit peel. If you love smokiness, this one is awesome. 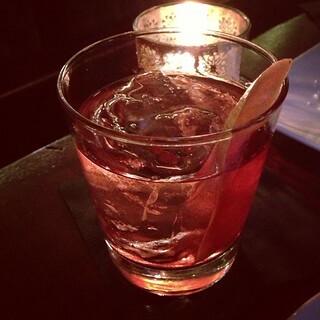 The Cut and Run is a combination of three aged rums, vermouth and Benedictine. 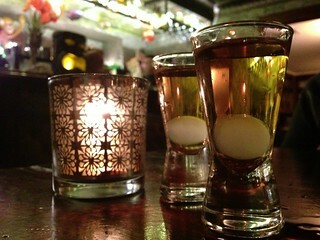 This one's for you Manhattan lovers. 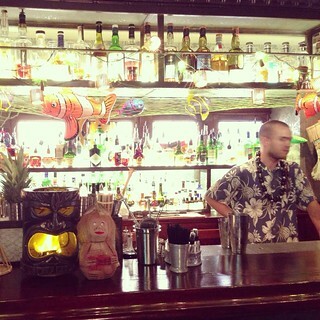 The last section is their own tiki creations. 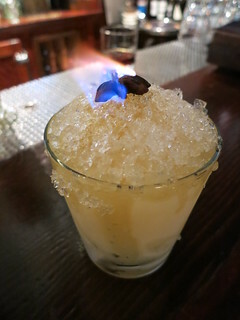 My favorite is probably the Jamaican Farewell made with coconut cream, black rum, navy rum, yuzu juices, and spiced mango shrub. 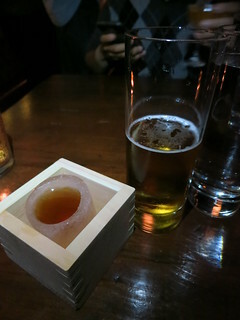 It's sweet like most tiki drinks but still complex. The coconut cream added a nice body to the drink. Cocktails don't get more summery than this! A Tale of Two Raymonds, created by Jesus Gomez, is also up there though. 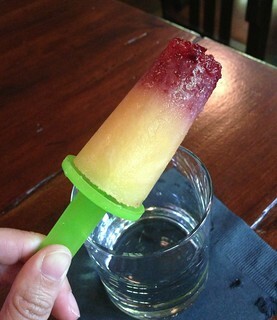 This one's made with a blend of aged rums and cognac, pineapple, lime, house-made grenadine, and Licor 43. 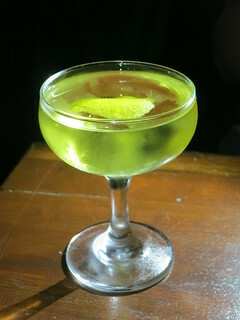 The Shooting Star by Brady Weise brings back the saffron-infused gin he used in his Wind-Up Bird, this time mixing it with cranberry infused St. Germain for a more herbal and less sweet tiki cocktail. 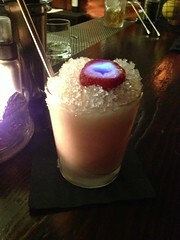 If you're having dinner here, you might to look to the cocktail list for dessert instead, with the Deconstructed Piña Colada by Greg Germenian. 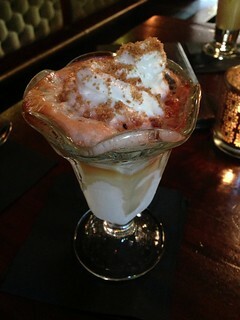 It's an alcoholic sundae of spiked lime sorbet, white rum pineapple foam, Barbados rum coconut foam, oatmeal crumbles, and bitter.